1864-1929 Born in Bomen, Austria, Franz Bischoff became known as "King of the Rose Painters," one of the most respected ceramic decorators of his time. 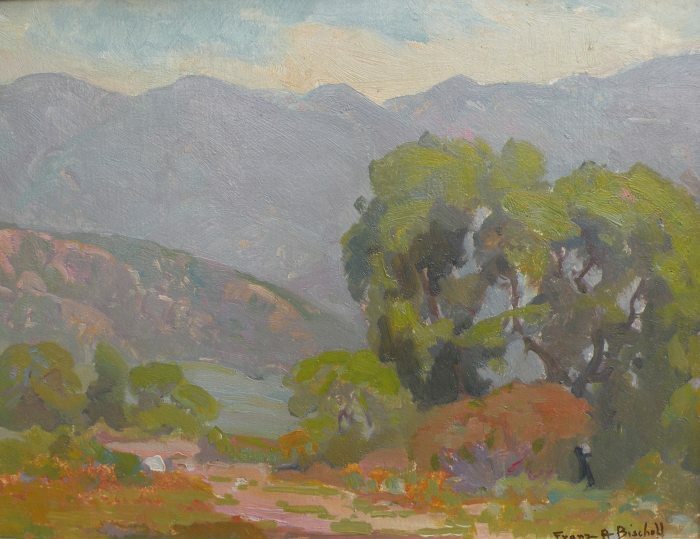 He was also a leading Southern California plein-air landscape painter of the early 20th century. He had early training at a craft school and in 1882 went to Vienna for study in painting and porcelain decoration. He arrived in New York City in 1885 and took a job as a painter in a ceramic factory. Following that, he worked as a ceramic decorator in a variety of places including Pittsburgh; Fostoria, Ohio; and Dearborn, Michigan. In New York and Detroit, he founded the Bischoff School of Ceramic Art and developed the formula for many of his own colored glazes. In 1900, he first visited California and shortly after settled in Los Angeles. In 1908, he built his studio home with gallery, ceramic workshop, and painting studio, along the Arroyo Seco in South Pasadena. In 1912, he spent extended time in Europe and was influenced both by the Impressionists and the Old Masters. Living in California, he devoted much time to landscape painting and painted in Monterey, Laguna Beach, the Sierra Nevada Mountains, and the desert near Palm Springs. His style was regarded as post-impressionist with expressive use of color and highlighting. 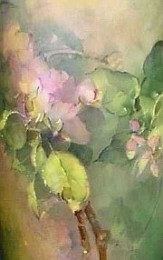 He was a member of the California Art Club and the Laguna Beach Art Association. His ceramics were exhibited at the 1893 Columbian Exposition in Chicago and at the 1904 Exposition in St. Louis.